Award-winning actor Leonardo DiCaprio is an American actor and film producer. DiCaprio began his career by appearing in television commercials in the late 1980s. Leo is notorious for dating models, actresses, blondes, well he is just a famous bachelor. He cheeky grin, golden locks, and remarkable acting skills have made him one of the highest paid actors in Hollywood and quite rightly so. 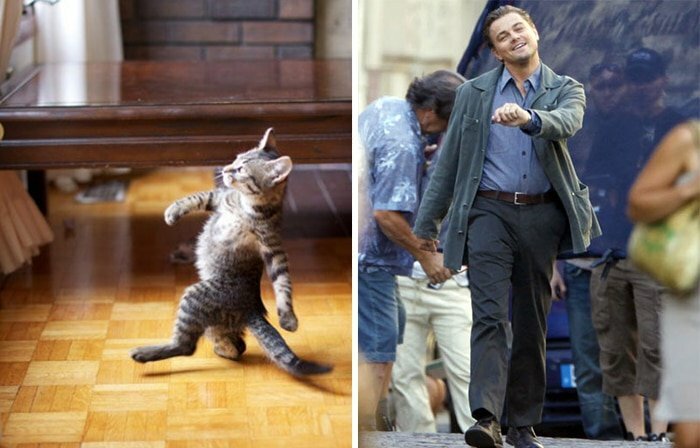 He is known for his smile and always has a spring in his step, which is why this strutting Kitty looks exactly like our beloved Leo. The confidence of both Leo and the Cat are remarkably similar! 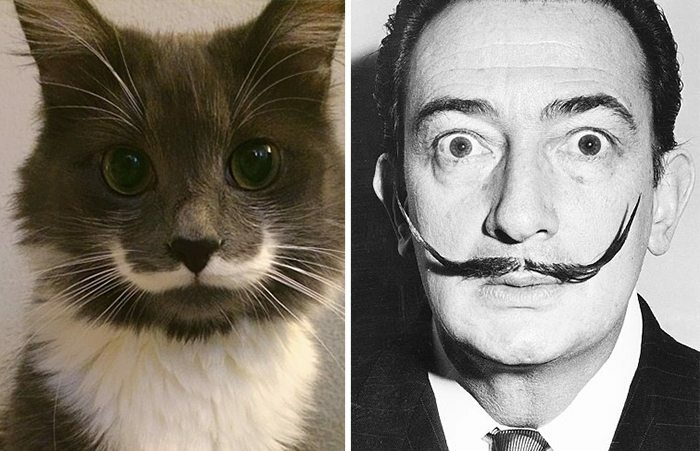 This cat looks a lot happier and a lot less weird looking than Salvador Dali but we see the likeness.